It may sound unfair but reliable borrowers are paying the price for unreliable debtors. 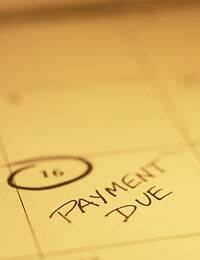 Bad debtors are the alleged reason for increasing credit interest rates and decreasing loan offers. Banks have been increasing their annual percentage rates (APR) at a rapid pace during the recession. Although the Bank of England base rate has fallen dramatically the banks have raised their APR rates. The average APR for a £5000 loan was 9.8%; this has now jumped to 13.9%. This effectively means that the price of financial products such as unsecured loans and car financing has jumped by around 42%. Borrowers are now finding it harder to obtain reasonable APR on loans and credit cards. It’s not uncommon for banks and other financial providers to raise their annual percentage rates. According to the banks this massive APR rise in such a short period is required because of bad debtors. The banks are looking to discourage high risk borrowers from trying to obtain credit and loans. The banks are also trying to discourage the irresponsible lending that has been occurring in the past. These measures appear to be a way for the banks to recoup some of their losses and to weed out unreliable borrowers. Although the rising APR is designed to weed out the bad borrowers it is also having an impact on reliable borrowers. Borrowers with good credit records have found themselves unable to obtain loans and credit with low or even reasonable annual percentage rates. Understandably these borrowers are not happy about paying the price for bad debtors. New borrowing rules such as borrowing for existing customers only have now narrowed the borrowing market even further. Banks also claim that the writing off of bad debts for unreliable borrowers has also led to these increases. Many financial providers have withdrawn unsecured lending options from their range of financial products altogether. Not only has the APR risen but banks have brought out new guidelines that prohibit borrowing for certain customers. Certain banks are now only permitting borrowing of unsecured loans and low interest loans to existing customers. If customers see a good APR rate with these banks they will have to open a current account in order to apply for them. In an effort to weed out the bad debtors banks are now lending on the quality not quantity rule. This means that they are now being far more cautious with regards to which customers they grant credit and loans. Unsecured lending is a high risk for banks and other financial providers. Financial providers are no longer willing to take this risk, which is the reason why so many banks have slashed their unsecured lending quota. This all adds up to less choice and harder to find unsecured loans, even for customers with good credit records. Although it is becoming harder to obtain low APR unsecured loans and credit cards there are still some available. Shopping around online and using comparison sites will bring up a number of different loans applicable to the customer’s circumstance. Customers may also have more luck with internet only banks that do have lower overheads than the high street lenders. There is no doubt that borrowers with poor credit records are going to find it very difficult to obtain low interest loans. It is understandable that reliable borrowers are angry about interest rates rising due to bad debtors. There is a chance that good customers can complain to their banks if they are only offered loans with high interest rates. If a borrower has an unblemished credit file and a good history with their bank they may still be offered a good rate of interest.